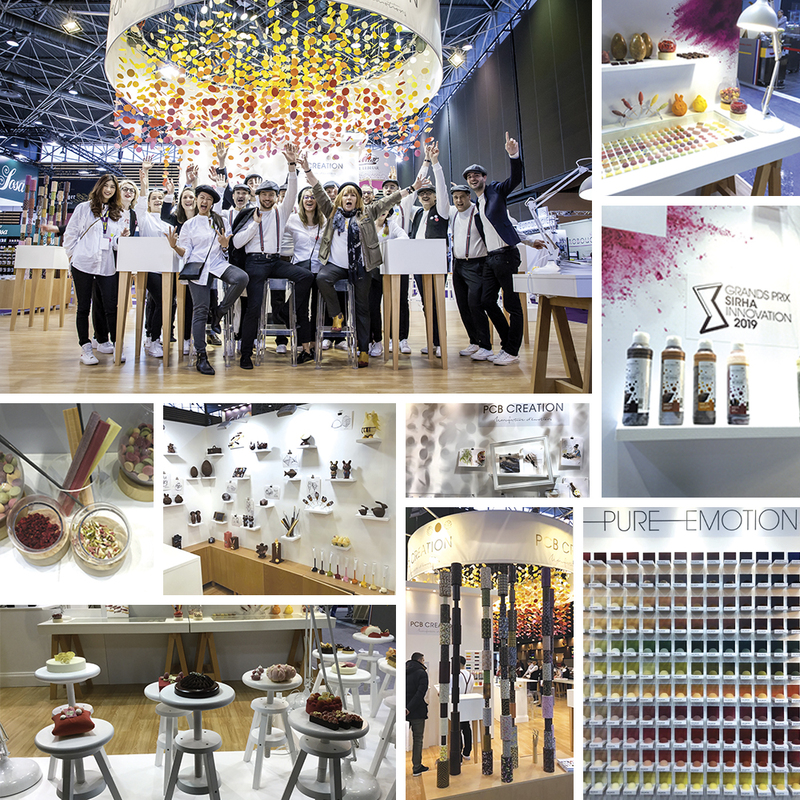 The SIRHA show was held between the 26th and 30th January 2019 in Lyon, an event not-to-be-missed for those in the world of gastronomy. Of course PCB was there… wowing the crowds with its stand ! The theme? An artistic workshop : the perfect way to highlight the company’s recent innovations. A festival of colours awaited eager eyes and palettes with the Pure Emotion range : a big hit for this surprising colour range created with pulverised sweets, a genuine patisserie colour chart. Visitors were also delighted by the little fish tasters, in 100% natural Pure Emotion chocolate or fruit. Chefs, culinary professionals, nutritionists, designers and professional press journalists. The themes were also greeted with great success. Whether funny or moving, these little figures straight from the designers’ imagination put on a show at the stand ! The team in charge, living up to their reputation, painted by the make up artist, knew how to show off both new and classic products with contagious enthusiasm. Is the PCB team over the moon about their recent Sirha 2019 award win ? Without a doubt, and the success has kept up its pace. Thank you to all those present who helped to make this moment unique!